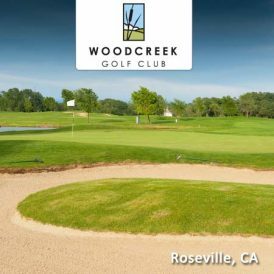 Located in Roseville just 30 minutes north from downtown Sacramento, Timber Creek is a championship course designed by the legendary Billy Casper and Greg Nash. 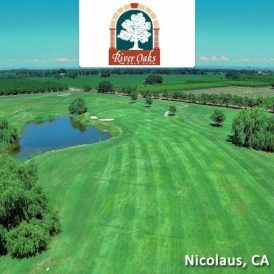 The course is highlighted by numerous water features, generous landing areas, and 2000 plus 150-200 beautiful year old heritage oak trees. 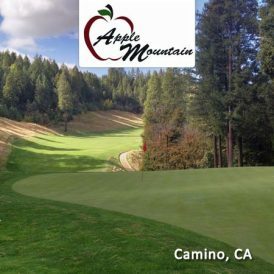 Each nine holes has very distinct personalities, with six of the front 9-holes with water that can come into play. 142 sand bunkers are also an integral part of the golf course. 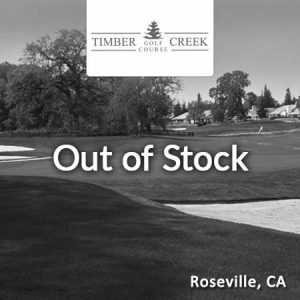 Timber Creek challenges every club in the bag while providing an enjoyable experience for the novice golfer. The practice facility features an expansive driving range, putting green, chipping green and practice bunker. 7050 Del Webb Boulevard – Map it! $72 paid value does not expire and may be used toward the purchase of regularly priced green fees after promotion expiration.